Located in Arlington, Texas, the restaurant and entertainment development dubbed "Texas Live!" will encompass the new home of the Rangers, Globe Life Field. 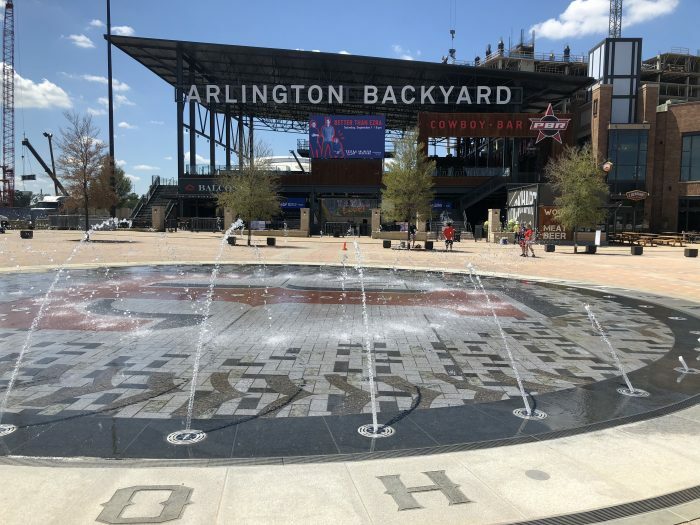 The main plaza is anchored by an engaging circular interactive water feature stretching precisely 60 feet 6 inches in diameter, the same distance from home plate to the pitcher’s mound. 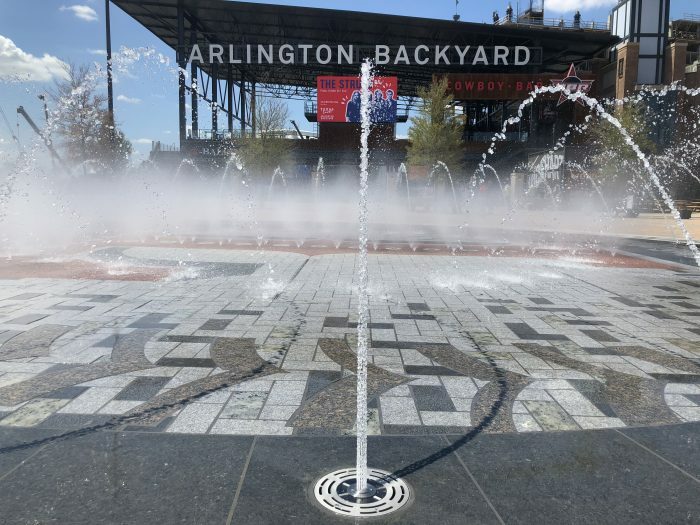 The Texas Rangers emblem is circled by 34 choreographed nozzles to represent the retired number of Hall-of-Famer Nolan Ryan, and the fountain spouts water into the center where 50 misting nozzles form the shape of a "T." At night, the feature is illuminated by flush-mounted, color-changing LED lighting. 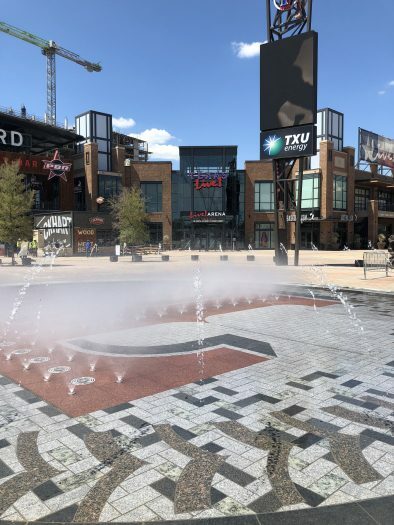 For this project's interactive water feature, ADE provided hydraulic, structural, filtration, and chemical system design and engineering services.